MailWasher Pro 7.11.5 Portable ~ Apps2Portable | Free Portable Apps for PC ! - Zero spam in your computer or mobile device. - Inspect any email before it gets to your computer or mobile device. - Never lose an email because you can't afford to. Check your email with MailWasher first. You'll be safer with the knowledge of what's waiting for you on the server, allowing you to quickly inspect and read your email and remove any unwanted messages quickly and easily. In 3 simple steps you'll be spam free. View everything about your messages before they get to your computer so you can determine if they're really spams, scams or good email. This means you can delete unwanted messages at the server so you only get the email you want. MailWasher lets you view the email safely in plain text, but you can also inspect who it's really from, who owns the company who sent it (WHOIS report) and all the hidden links. 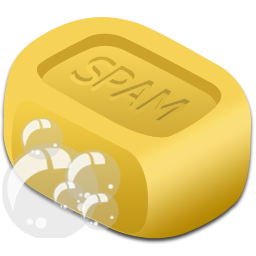 Given that you can't afford to lose any legitimate email, MailWasher lets you have the final say on it before letting you 'Wash' the spam away.